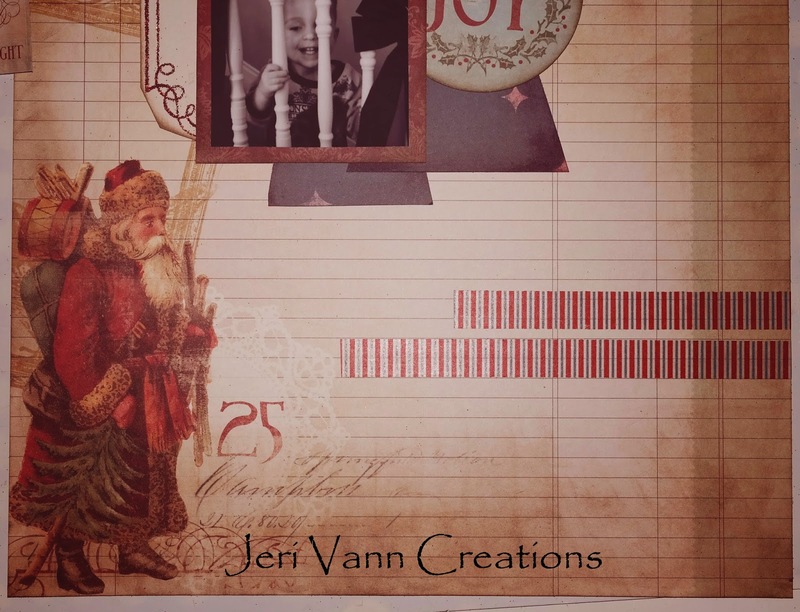 Find the Dear Santa Page from your bundle, this will be the Layout page. With the North Pole Page, cut a couple of Trees, any size you would like. Mine are 2.75”x8” and 3.5”x6”. Using Seedless Preserves Distress Ink, ink the edges of the trees. 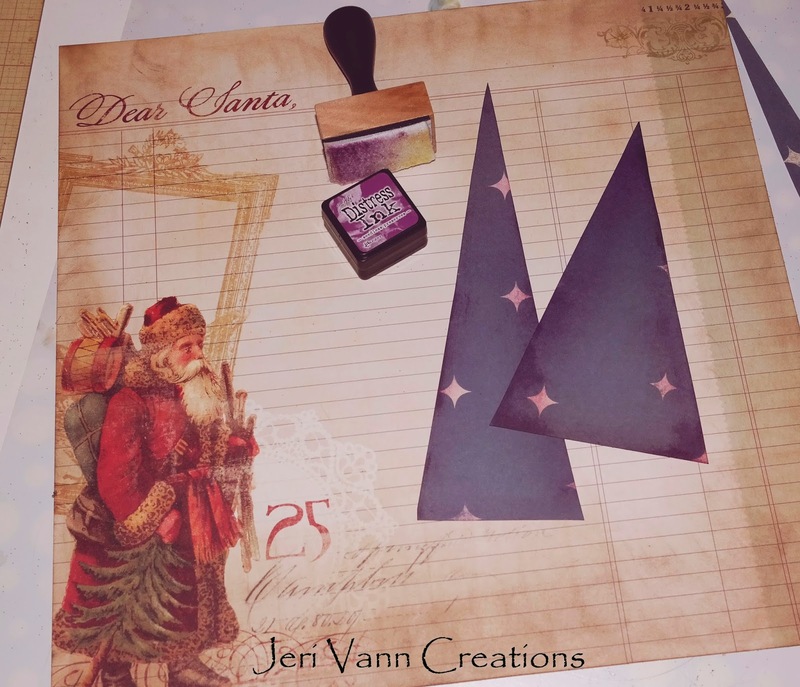 With a brown ink pad, ink the edges of the Dear Santa page. Find the Noel Page and cut this design out. Notch the edges, or keep square, whichever you prefer. Slightly ink the edges with your brown ink pad. 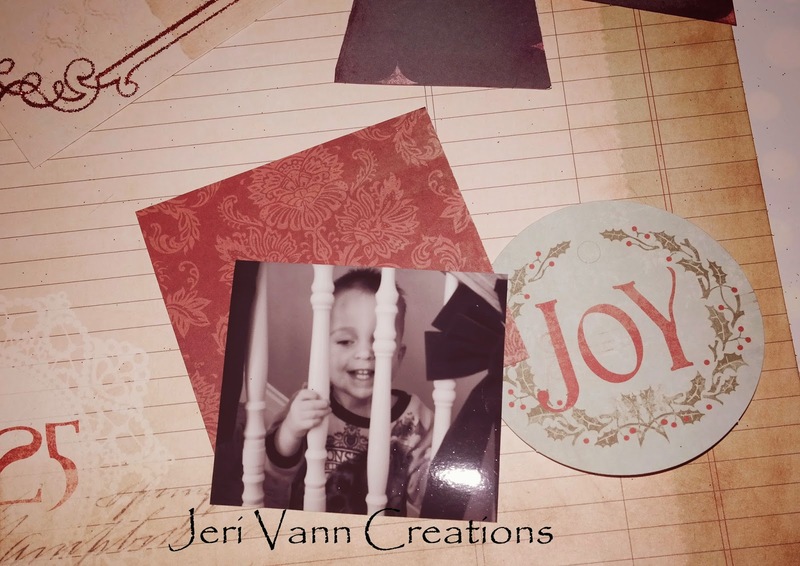 With the Merry Page, cut a slightly larger mat for the picture. 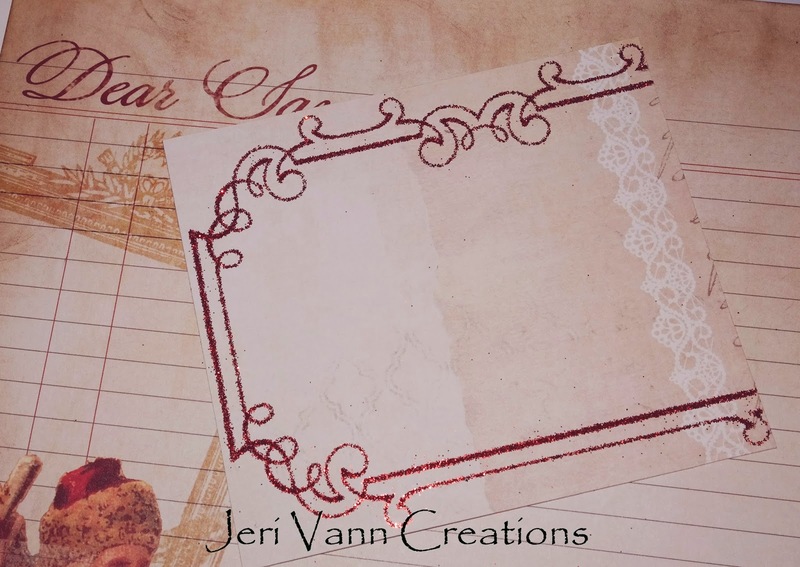 Find the round Joy Decorative Tag and ink the edges with your brown ink pad. I started with a couple stripes of the Decorative Tape. Feel free to add how much or how little you want. 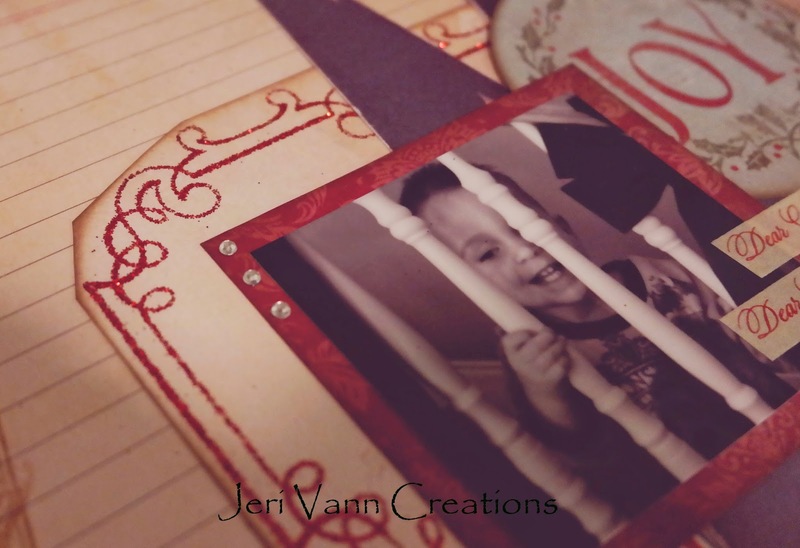 I placed the glitter cutout, the trees, picture and tag on top of the Decorative Tape. From here I decided whether to add more tape under them or not. If you are content, then using double sided tape, secure all of your layers. 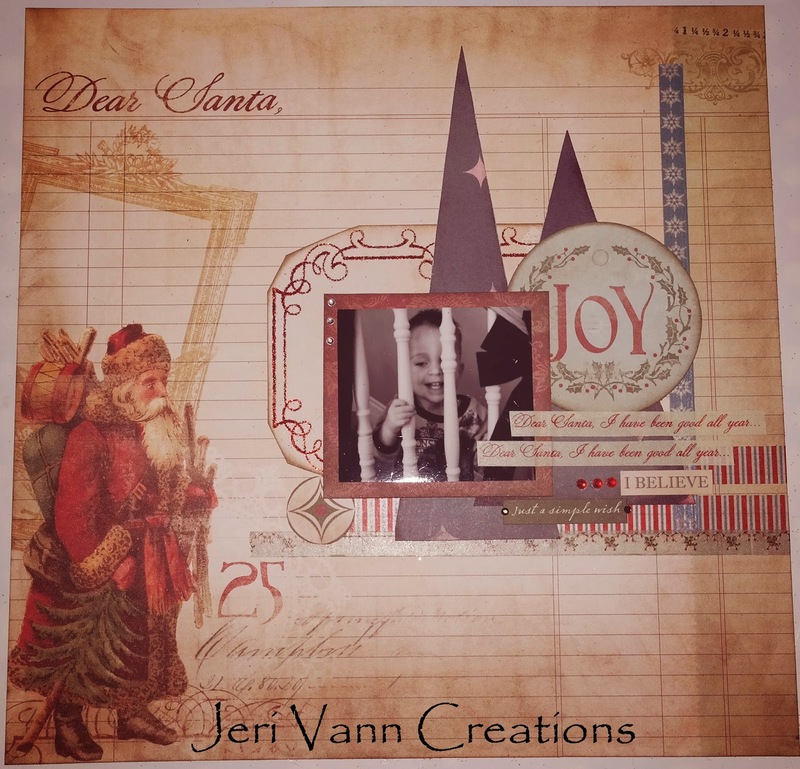 Now you can add a couple strips of Dear Santa… Decorative Tape, a few Word Stickers and some Gems. I added a few more Gems in the top corner of the picture as well. 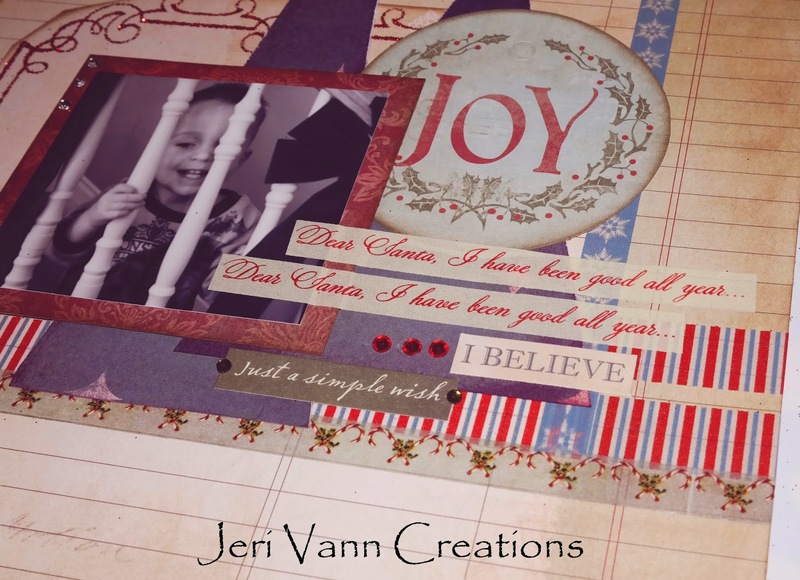 And your Joyous Layout is now finished!